If you thought tie-dyed garments were reserved for a fancy-dress party, think again, psychedelic colours are making a massive comeback this summer – bring on the reminders of the Summer of Love! Tie-dye was hip in the 60s as American hippies and Vietnam War protesters brought the clashing colours into the mainstream with colourfully dyed shirts, signs and headgear. It then reared its head in a big way when rave music became massive in the 80’s here in the UK – remember the summer of love? I can – headache! 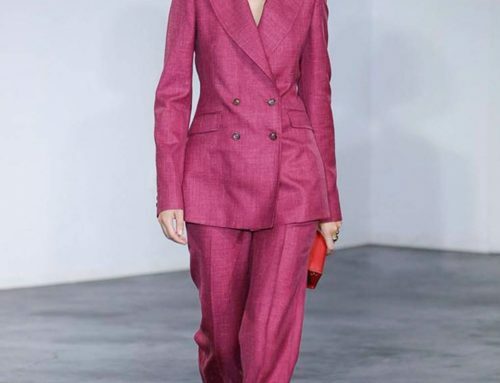 And now it’s back in our shops for men & woman everywhere for Spring/Summer 19 – yippee!!! 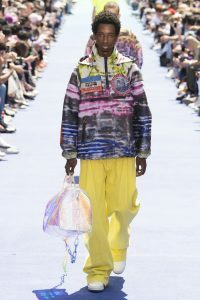 I love a little bit of tie dye but I don’t often get the opportunity to bring out that rave hippie chick inside of me – as a personal stylist I don’t think it will work for me in Oxford Street, but I’d be happy to get a nice new updated chic piece for my Summer 19 vacation. Love it or hate it – it does bring a smile to my face when I see how it’s been fabulously reinvented on the shop floors this season, and I adore the brightness it brings to all those racks I scour as a personal stylist for my clients in search of new exciting things. For women I’ve spotted tie dye in some fabulous elegant silk shirts that would look amazing under a smart office suit, and I’m in love with the tie dye swimwear that’s around. For men my favourite for the season is some of the designer jackets – my 12 year old has spotted a vintage Stussy hoody in Selfridges he likes so I’m off to source one at beyond retro if I’m lucky – he’s already spent his own money on a Bape one off eBay so he’s going to be a nightmare by 16 – he’ll need a weekend job! 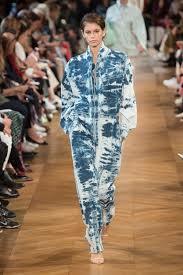 Another subtle way to embrace the trend is to invest in a piece of bleached tie die denim that’s out there for both men and woman – have a look at Stella McCartney’s SS19 show if you need any inspiration, what fun to create your own, bleach to the ready. See reach for the bleach at Refinary29 for some ideas. Remember trends are there to inspire and give us new inspiration for a refresh – anyone going to have tie -dye nail polish this summer?